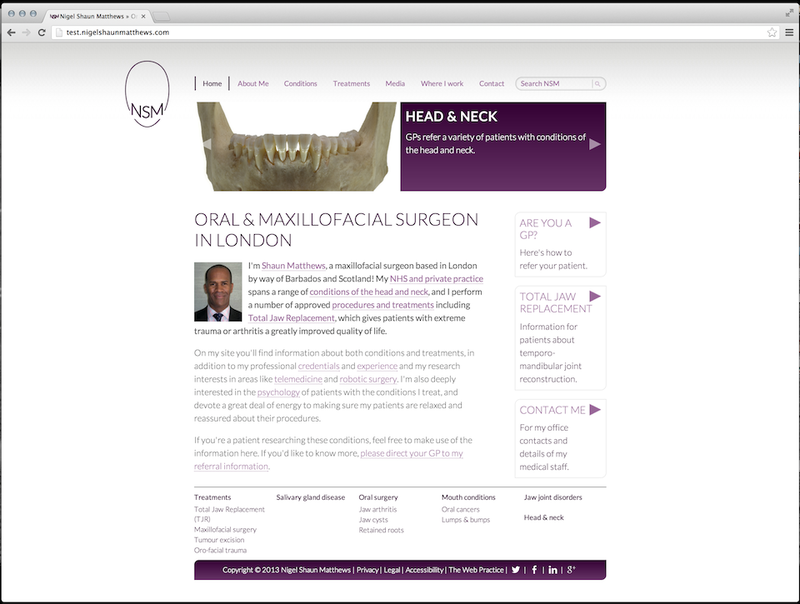 Another Web Practice site, this time for an oral and maxillofacial surgeon based in London. 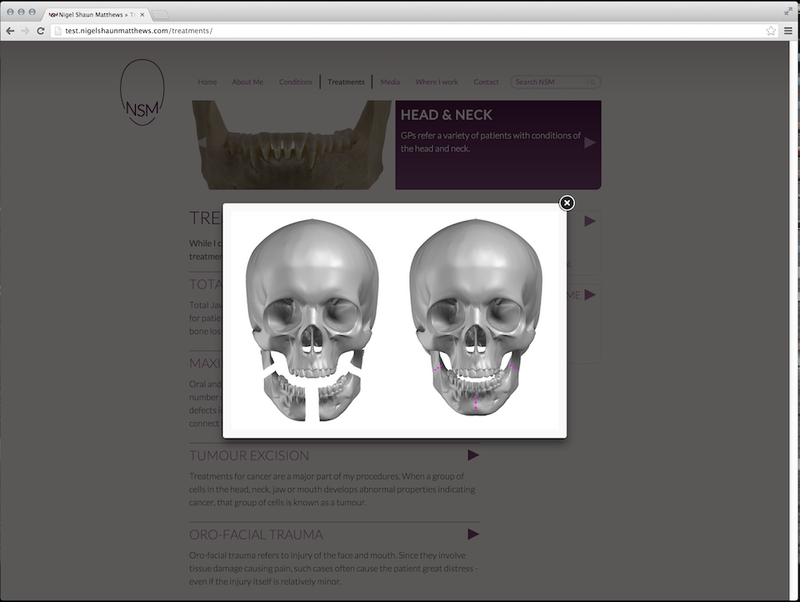 A requirement for a large media section led to a focus on easy-to-use image and video carousels in an active, splashy design. 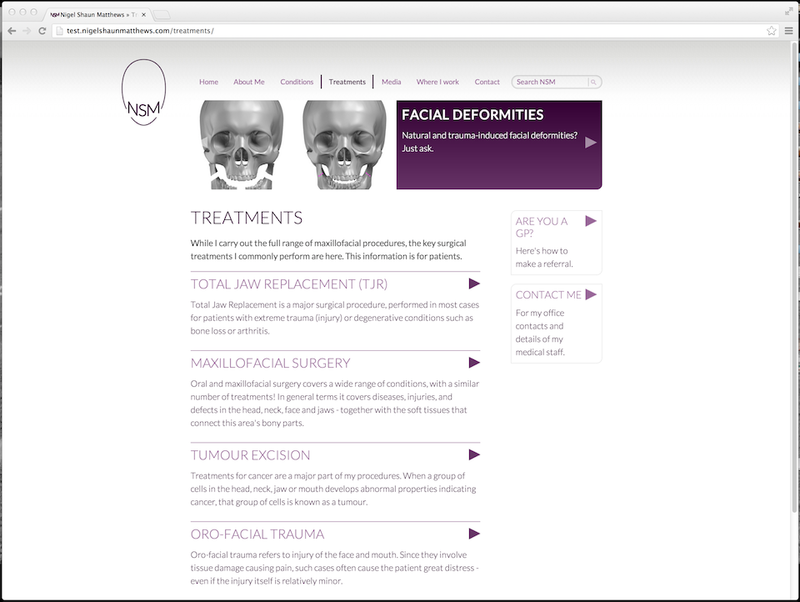 I was responsible for all information architecture and wrote over 40 pages of healthcare copy.